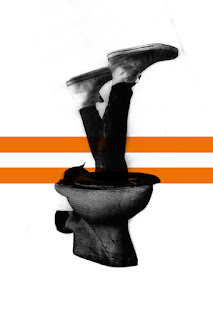 The Citizens Theatre is once again offering intrepid fans a spectacular box office bargain – 50p tickets for the company’s five-star rated adaptation of Irvine Welsh’s landmark novel Trainspotting. From 10am on Saturday 14 Oct 100 tickets for Trainspotting will be available for just 50p! The connection between Welsh’s work and the Citizens is decades old. Harry Gibson’s adaptation of Trainspotting was first staged in the Citizens Theatre’s Stalls Studio in 1994, only nine months after the novel itself was published. Tickets are available across 10 performances and are only available to purchase in person at the theatre. Customers will be able to buy a maximum of two tickets per person which must be paid for in cash. The Box Office opens at 10am – but availability is strictly limited. With the 50p ticket offer increasingly popular with each show, customers are advised to join the queue early to avoid disappointment. Trainspotting runs at the Citizens Theatre from 18 Oct – 11 Nov, before moving to the King’s Theatre Edinburgh, where it will be presented by Selladoor Scotland, from 14 – 18 Nov. Almost 3,000 50p tickets have been sold since Dominic Hill revived the 50p ticket offer in his first season at the Citizens Theatre in 2012. The offer honours the Citizens Theatre’s historic reputation for offering world-class theatre at affordable prices. 50p tickets were first offered at the Citizens in 1976 when the theatre was under the leadership of Giles Havergal, Phillip Prowse and Robert David McDonald; renowned in the 70s and 80s for their innovative productions. This innovative approach also encompassed a bold pricing structure with the belief that theatre should be accessible to all regardless of financial circumstance. As well as at Saturday’s sale, tickets for Trainspotting are available by calling the Citizens Theatre Box Office on 0141 429 0022 or by visiting citz.co.uk. Tickets start from £2 concessions.